Good things always come in threes – and this is definitely true for Josh Eggleton's triple layered chocolate tart recipe. The dark glossy glaze conceals a world of velvety smooth chocolate filling that when sliced reveals a crumbly, buttery biscuit base. 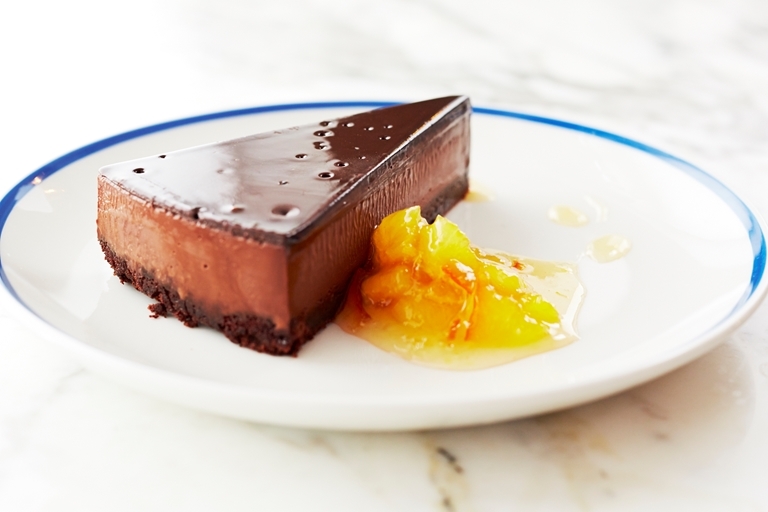 Served with a generous dollop of orange compote this dessert is a piece of unrivalled chocolatey goodness.